CR84FN #43 | Work in Progress. Check out the new, cozy CR84FN #42 challenge colors!!! So many possibilities! I've been deriving a lot of inspiration from other crafters as of late, and this one is no exception. Maile Belles posted THIS CARD a little while ago and I feel immediately in love! I knew I had to CASE it. 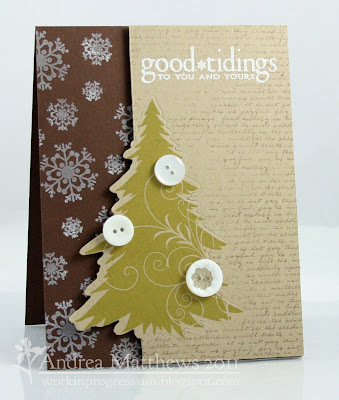 I'm also entering this card in the Buttons Galore and More Christmas Card/Tag Party. 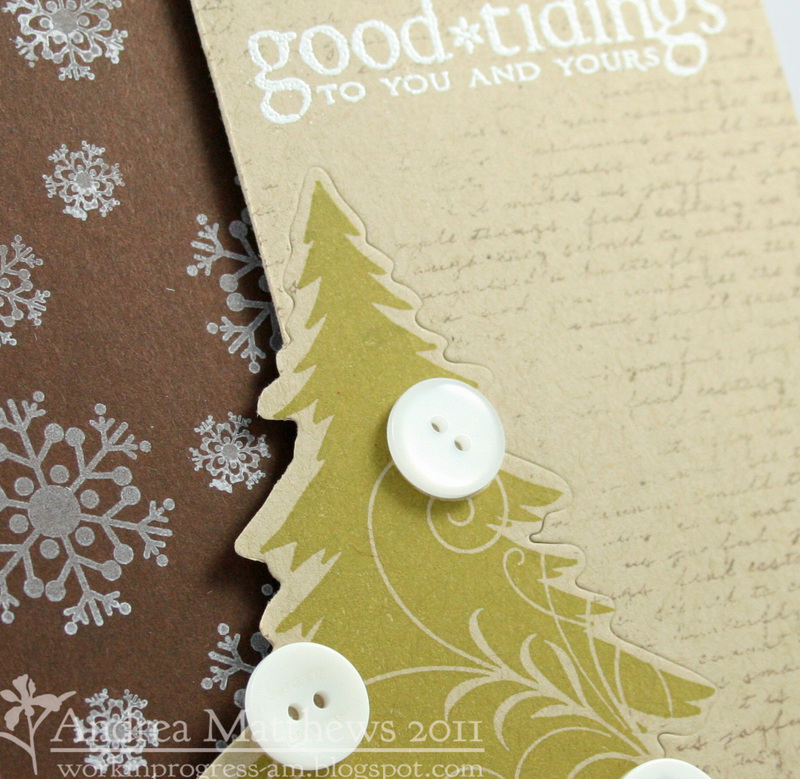 I embossed the Tree Trimming die on kraft, stamped the tree image then cut off the left side of the card stock. 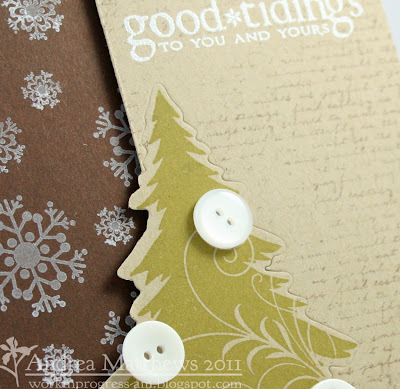 I stamped a few snowflakes on the base then stamped and embossed the sentiment on the top. I dunno why but I really feel uncomfortable stamping the sentiment up there! How weird is that?!?! 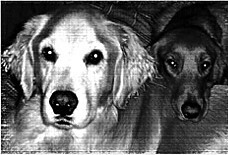 It sorta makes me twitch…Funny huh? Or just plain scary LOL! 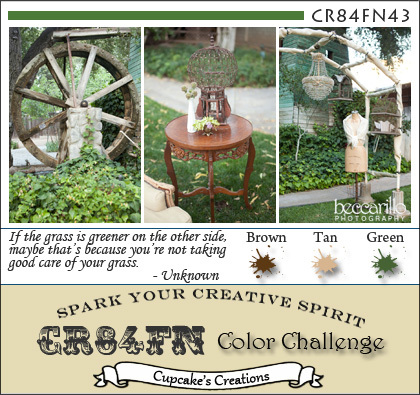 Posted in brown, christmas, CR84FN DT, green, kraft, tree . Bookmark the permalink. RSS feed for this post.